@RianC, thanks for your very nice review. 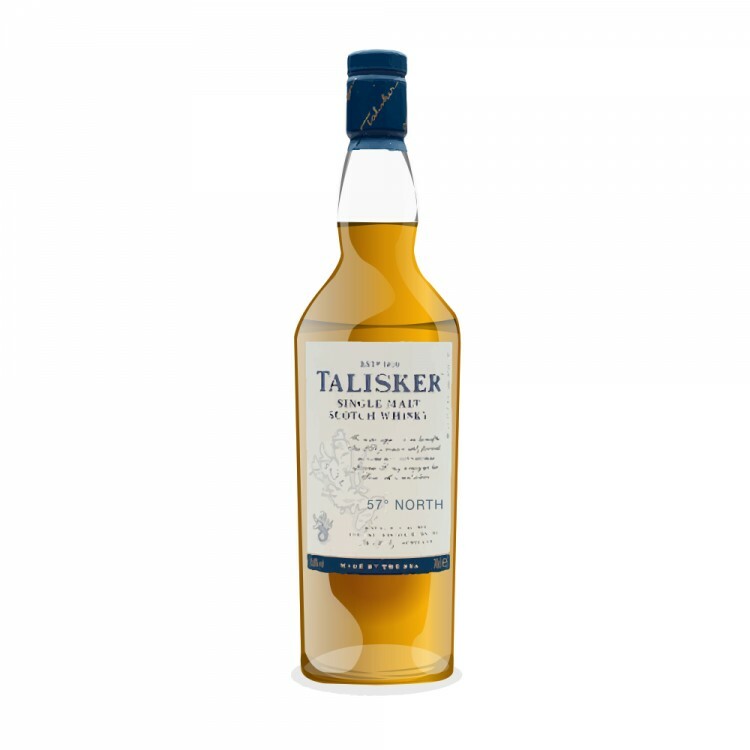 Talisker 57 Degrees North is my everyday Talisker. It takes air extremely well, and will taste good many months and even years after opening it. Sometimes it needs air at first to get to it good zone. @Victor - This was pretty good as soon as I opened it but time is really bringing out the musty toffee notes. I didn't put leather in my review but still sipping away at the dram and it is definitely there. It's the only Talisker I keep in my cabinet. 11 months ago 2Who liked this? @RianC The only problem with the 57* is it’s price in Quebec around 100£, but it is a charmer. Nice read. Tried it as I was going out of Heathrow recently and I agree with you, is great. I can also recommend the distillers edition. Good price around and I think it's outstanding! Where did you get your, MoM? @RikS - Yes, MoM. I think it's gone back up a little but still under £60 last time I checked. It feels strange saying that's good value for any whisky to be frank, but given the current market I'd say that is still pretty good vfm. @Robert99 - You Canadians have my sympathy when it comes to Scotch prices. On the flip side it seems that lots of the home grown stuff is quite stellar at the moment so every cloud and all that . . .
@RianC Heathrow £75 but that's a litre. So £52,50 equivalent for a 70cl. @RianC 7 years ago I was all about Scotch. I found at that time that all bourbon were too sweet and tasted the same and that all Canadian whisky had that over the edge maple flavor with lower quality. At that time, the alcohol board in my province offered in most store only a low quality selection. With time, the selection improved and I learned to appreciate each style for their own merits. Fortunately, the Canadian distilleries are now bottling single cask and older barrels. Because of the relative bad reputation of the Canadian whiskies, the price are quite good for the moment. Still, I do prefer Scotch, therefore I am still entitled to nag about the Canadian price. 11 months ago 4Who liked this? Lovely review. This is truly delightful stuff. I have the 10yo always around as a go to Talisker(but I bring it back from China because I'm not paying $77 + tax for Talisker 10). 57N is hard to come by in Tennessee and it runs over $100USD. So it's usually an overseas treat for me. @Pete1969 - Talk about getting late to the party . . . apologies for the _slight _ delay in response time Must have slipped me by! In answer to your question, not anymore. I was born and bread in Bolton (as the saying goes) but haven't lived there since my late teens I guess. Hung around Manchester for a good few years and now live in Bristol. You could say I exchanged whippets and mild for cider and carrots I think all the local 'old-style' markets have struggled, sadly - except the 'World Famous Bury Market' - which I'm sure all fellow connosrites are overly familiar with lol! Are you in the Preston area then? Used to love walking in the Ribble valley area and up in Bowland - gorgeous!